The team at Four Seasons Shopping Centre is celebrating another award win, after the retail destination received a prestigious national ‘Gold’ Green Apple Award for Environmental Best Practice 2018. Last year, Four Seasons first launched its sustainability initiative in a bid to reduce the centre’s environmental impact. A dedicated recycling process was proposed which focussed on simplifying its existing methods as well as having a clear communication strategy for all its retailers. Thus improving the centre’s day-to-day waste disposal. Since the initiative launched, Four Seasons’ positive environmental impact has increased its overall recycling by 63% and decreased its general waste by more than 25%. A two-bin method was created by the team, similar to the process used in people’s homes. Each retailer was allocated their own blue bin for recyclables and a green bin for general waste. There was also a communal zone for getting rid of such items as cardboard and plastic. Alongside this, Four Seasons also provided clear bags for retailers to place their rubbish into before placing them in the bins. This also allowed for a more transparent approach so that the recycling process could be monitored more effectively. 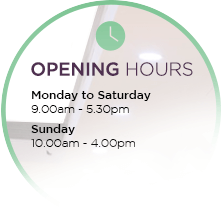 By also communicating effectively through weekly team meetings, a site newsletter and retailer meetings, the centre is now successfully working with all its stores to ensure they continue to achieve these impressive results. 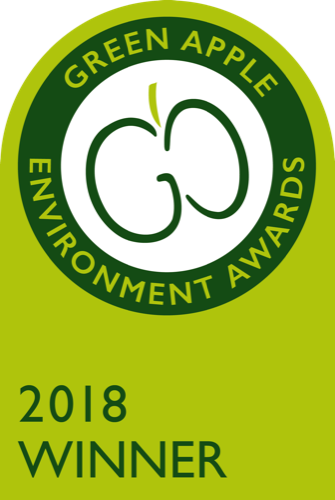 Held annually by The Green Organisation, the Green Apple Environment Awards recognise, reward and promote the very best in environmental practice around the world. Members of the shopping team were invited to the Houses of Parliament to receive the award.